We really do everything. The extra mile is our first step. I have used Klean Companies for 4 years now and am very happy. Last year they sodded my pet area, looked beautiful. We just had the snow removed from our roof today by Nathan and Luke. They were both very professional and did an outstanding job including the clean up of snow off of the driveway and sidewalk. I would highly recommend them for any type of job you may need to have done. Hired Nathan to do some toilet plumbing. He did a great job in about 1/4 of the time it would have taken me. He cleaned up the site after he was done and was very professional….. I was very impressed by Jeremy and his crew. They were very courteous and professional...I'd highly recommend them. Great work, extremely professional, the retaining wall looks great. Definitely my first call for any landscaping projects. We have been thrilled with the results Ken and his team have delivered on our lawn. We had a major crabgrass problem that has been treated the last two seasons with terrific results. Ken told me exactly what to expect in real terms, and that's exactly what happened. Even if you don't have problems, their prices are the same as fertilizing yourself. Plus, you know you're getting full coverage with professional products. On top of the service, results, and prices, Ken is a heck of a nice guy. There is no question who I'll be using for my lawn care needs going forward. We bought a house in Edina that needed a new look. KLEAN Landscape brought it alive replacing all of the turf and planting a hedge of trees to create privacy. Jeremy and Aaron cleaned my windows this morning. They did a fantastic job. My windows are spotless! I cannot get over how clear they are. Both were on time and super people-friendly . I will be referring Klean Windows to anyone who wants spotless windows for a very reasonable price. Thank you both so much! Look forward to seeing you again. I had the most kind and professional individual power wash my house and clean my windows. He was meticulous and thorough! If you need this done this spring I highly recommend KLEAN Companies. Nathan is amazing. Came out quickly to quote. His price was extremely fair for the time and effort it took to do my home. You won't be sorry. I believe he also does other types of work as well! We could not have been more pleased with our choice of Klean Lawn. Every step happened on time and just the way Ken said it would. The bid was very reasonable and the crew was meticulous and professional. The street and surrounding area was cleaned up when the project was completed. We have received many positive comments from neighbors, as this yard was quite an eyesore previous to our purchase. Outstanding work. The finished product looked great, finished on time and on budget. I would highly recommend Chris and Klean Tile. I've hired KLEAN the past three seasons to do my lawn care and snow removal and have never been disappointed. Klean took care of our lawn cleanup in record time, Thanks Klean! Over two seasons we had KLEAN Landscape reshape our back yard landscape. This 80-foot long limestone path connects to a fire pit ring on one side and a timber staircase on the other. We LOVE it! Our house had water damage from a poor grade and an old concrete patio that was cracked. KLEAN Landscape removed the the old patio and installed a new paver patio and our basement has been dry ever since. KLEAN Landscape designed and installed this paver patio under our deck when we thought there was no room for a sitting area. We love our evenings together sitting on it. Jeremy kept the scheduled date and was on time. The team was courteous and cleaned up upon completion of the work. The windows are sparkling clean for a fair and reasonable cost. Jeremy did an awesome job for me. I had a large fence and tricky spaces to pressure wash...Communicated well throughout the project. He was very responsive in proving information and quote. Exceptionally flexible in accommodating our schedule. The work was perfect - met even my picky standards. The guys were on time, pleasant to talk with, earnest about their work, on good terms with each other and were willing to do more. I will hire them again for window washing, gutter cleaning, and yard maintenance and fall cleanup. Jake installed about 700 square feet of 3/4" solid hickory in an old farmhouse restoration we are doing in Watertown. He was professionalism personified! On time, honest and I trusted him. Earning my trust is not easy as I spent 20 years in west coast law enforcement and trust is not easily earned. He finished the job on time and did a beautiful job. When one of the other tradesmen on the job damaged some of the newly installed floor, Jake went out of his way to get there the next day to make the repair. He even found other damaged areas the tradesmen failed to show me and fixed them too, without an up-charge! These guys are the best, my highest recommendation. He did a great job, was very timely, high quality work! We love how our floors turned out, he was able to match up our existing woodwork with new wood work and it turned out beautifully! Highly recommend to anyone looking for hardwood floor installation! They installed new hard wood floors in our kitchen as well as patched many areas on our main floor and stained the entire level. Their quality of work was absolutely amazing! Would definitely recommend them to anyone needing floor work. Jake does quality work, he's conscientious (keeps the space clean), and is trustworthy. I'd definitely use him again! Very understanding and easy to work with. Offered helpful ideas and was accommodating with our busy schedules. Took care of all our concerns and needs. Will definitely use them again and will refer them to those we know that need projects done. Polite and professional, and the floor looks great. 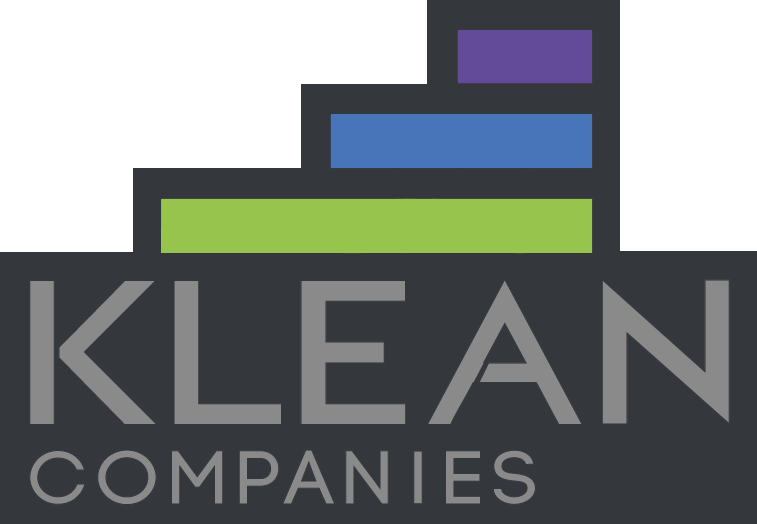 Klean Lawn is the most honest lawn care company out there! Jake has helped us out on numerous projects. I highly recommend him for his hard work and attention to detail. He communicates well and is very responsible and respectful. I look forward to using him on future flooring projects!